We have a great pleasure in announcing that International Exhibition and Convention Centre EXPO Krakow was nominated for MP Power Awards®​ (category MP Power Venue Event). MP Power Venue is a competition for the best Polish event infrastructure. Long-term aim of the competition is also raising labor standards and the implementation of projects at every stage of cooperation between the involved stakeholders. 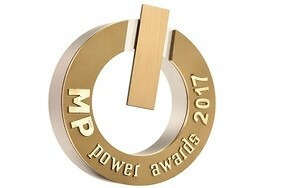 The aim of MP Power Awards is the industry integration and building a platform for communication between the sectors. MP Power Venue winners boast a special potential to organize various events. The winners will be presented during the final Gala MP Power Night, March 23, 2018 at the “Tor Wyścigów Konnych Służewiec”. Gala will also be the final event of Meetings Week Poland in 2018.